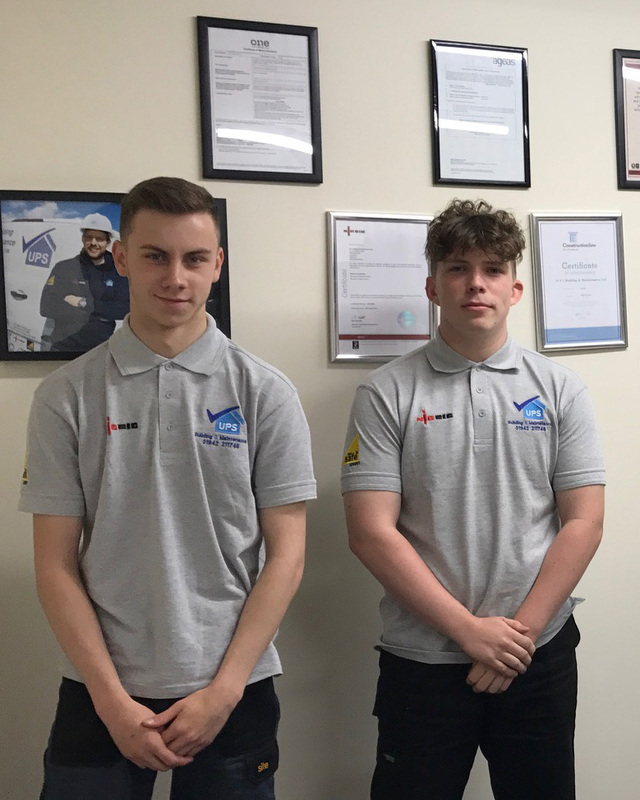 Good luck to new apprentices Adam and James for their first day on site after completing their induction last week! 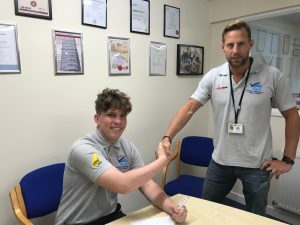 Apprentice plumber Adam is working on our disabled adaptations contract with Riverside Housing and Apprentice joiner James is joining our Magenta Living voids team. Both went through a rigorous interview and selection process and impressed us with their enthusiasm, attitude and smart appearance – all essential traits for UPS operatives. UPS apprentices have 12 months additional training over the industry standard, as well as one-to-one mentoring from an experienced tradesperson and the company Directors. This means in 3 years’ time, Adam and James will not only be fully qualified but will have the site experience, customer care skills and confidence to work independently. Well done both and a very warm welcome to the team!